Love comes in many forms. Shredded. Sliced. Melted.. Cheese is all we need. Add your own homemade bun to the mix and enjoy! 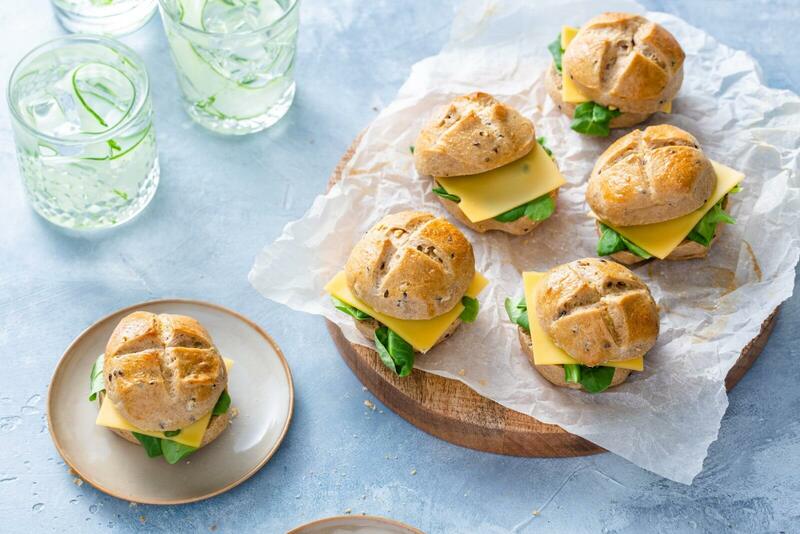 Spread the buns with some mustard and finish with the cheese and rocket. Voilà!